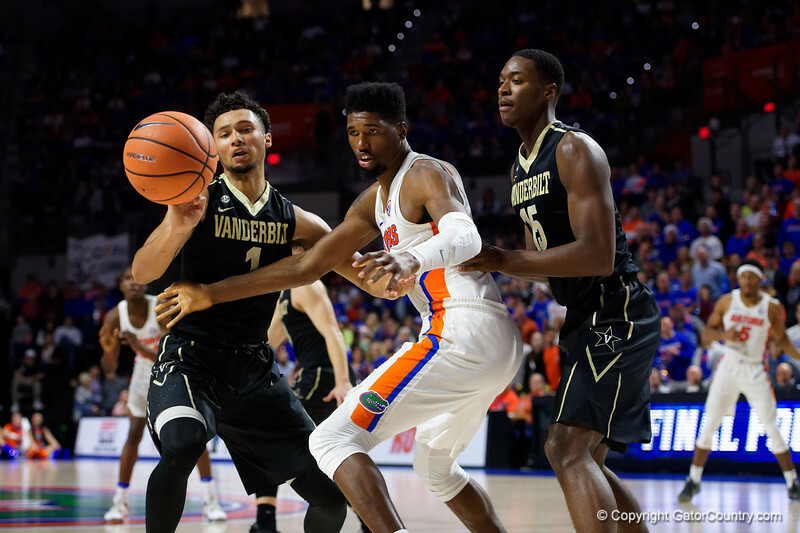 University of Florida Gators forward/center Kevarrius Hayes during the second half as the Gators win their SEC opener 81-74 over the Vanderbilt Commodres in Exactech Arena at the Stephen C. O'Connell Center in Gainesville, Florida. December 30th, 2017. Gator Country photo by David Bowie.